A look at the plight of child laborers around the world. 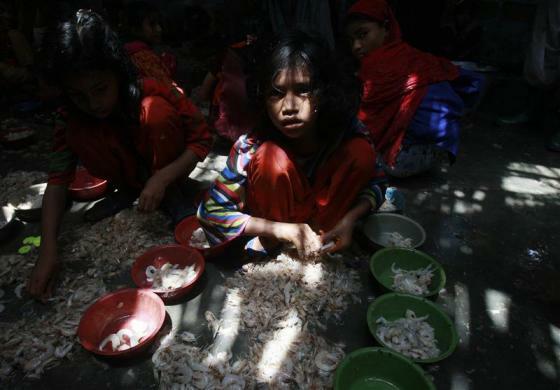 A girl sorts prawns at the main port located in the outskirts of the southern city of Karachi, Pakistan, June 13, 2009. 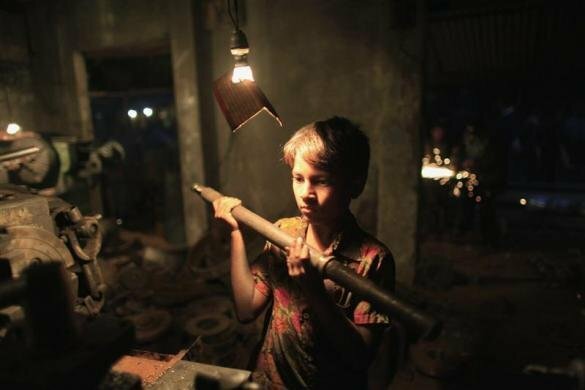 Shuvo, 7, works at a metal workshop which makes propellers for ships at a shipbuilding yard next to Buriganga River in Dhaka, Bangladesh January 10, 2012.